a text editor based todo app for people who don’t like productivity apps. Designed for people who prefer to keep their to-dos in a plain text file, Todoing adds a layer of intelligence and orgaization to your list. 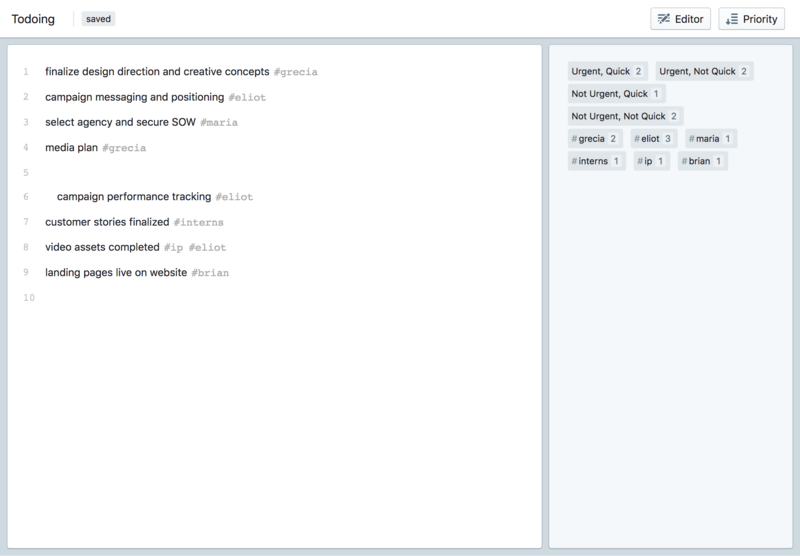 Hashtags allow you to filter list items, and a priority matrix lets you categorize items by urgency and time needed to complete. The order in which you keep your list is important, so the use of the tools never mutates your list, and helpful line numbers are provided throughout. 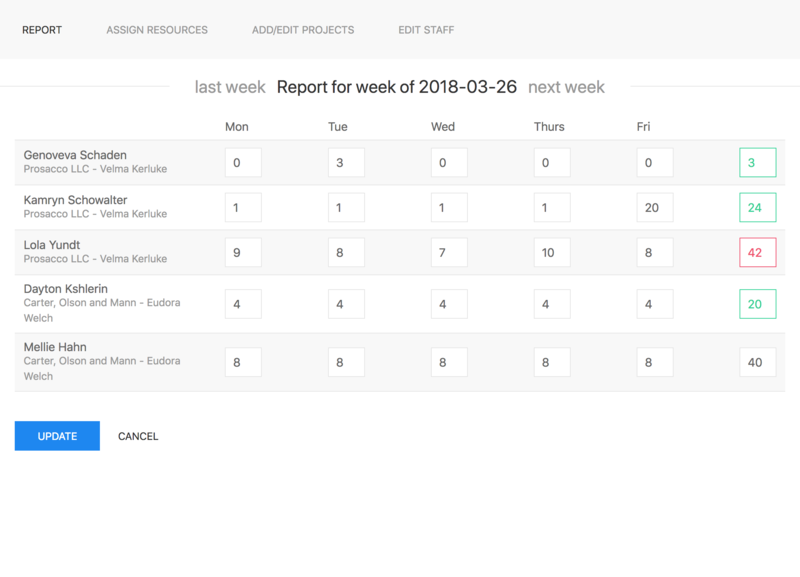 Designed specifically for mangers who need to delegate hours to their teams on a weekly basis, Designer Resourcing allows you to build a schedule-like report by assigning hours to the people on your teams within the context of a specific client. View all assignments at once to identify and correct conflicts, or rebalance labor across your team, and say goodbye to emailing out files like schedule-new-revised-updated-1.xls. 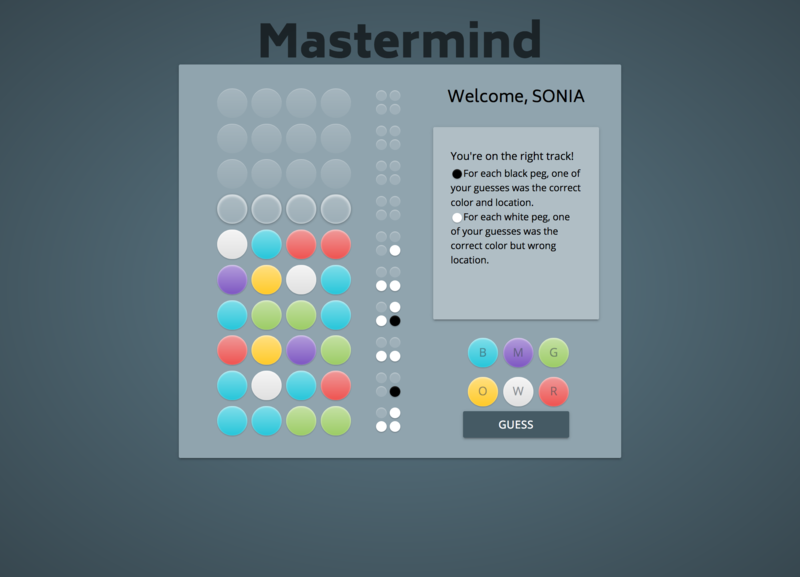 Mastermind, the classic game of stragetic guessing pits you against the code maker. With only a limited amount of attempts and cryptic feedback, can you beat the mastermind? Math-tac-toe is a friendly update to the well-known game that adds an interesting layer of complexity! Choosing to play with either even or odd numbers, can you beat your opponent to making a set that equals 15? My name is Hans Kirkendoll. What's yours?